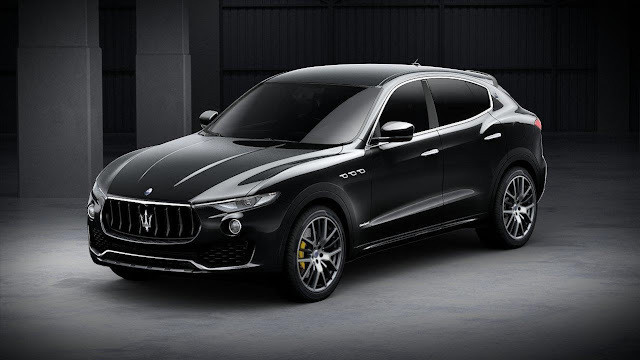 Hertz Europe, part of Hertz Global Holdings, Inc. (NYSE :HTZ ), has partnered with luxury car manufacturer Maserati to introduce a special limited edition Maserati Levante to its European fleet as part of its 100th birthday celebrations. The Levante is an SUV like no other, bringing with it the Maserati grand touring tradition and inspiring long-distance travel thanks to its high performance engine, 8-speed automatic transmission and intelligent all-wheel drive. The spacious interior, which comfortably seats five, is pure Maserati with an elegant Italian style, premium sound system and leading edge technology. The 100th Anniversary Maserati Levante is now available to rent from Hertz in France, Germany, Italy, The Netherlands, Spain and the UK. It joins other Maserati models in the Hertz fleet in selected markets: the luxurious Maserati Quattroporte and Ghibli sports sedans. The vehicles are backed by Hertz's "Make and Model Guarantee," which ensures that customers drive away in the specific model they reserve. Michel Taride, Group President, Hertz International, said: "To mark our centenary year, we've partnered with Maserati, one of the world's elite car manufacturers, and we are thrilled to present our 100th Anniversary Levante to customers around Europe. It will make any road trip very special indeed. We are also delighted to offer the Maserati Quattroporte and Ghibli at a number of leading destinations in Europe."